What Our Bridal Clients Say! 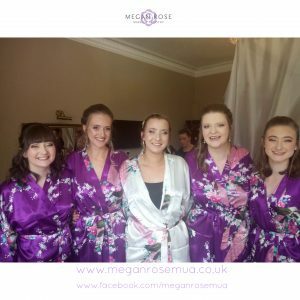 Here is what some of my past Bridal clients have to say about the services they have received from Megan Rose Make-up Artistry! “I cannot thank Megan enough. Every single guest at my wedding commented how wonderful my make up was. I felt absolutely beautiful. Megan I would recommend you to anybody in a heartbeat! You were professional, kind and made me feel like a princess! My make up stayed on all day and evening and I even went out afterwards to by an eyebrow gel, something I had never used before! Thank you so much!” – Kristina, Wedding in Gretna Green, Smiths Hotel. 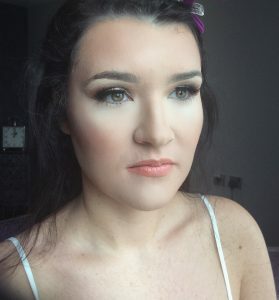 “I had Megan last week for my bridal make-up, I couldn’t have been happier. Megan was so polite, professional and friendly. She explained everything she was doing and made me feel really relaxed. The end result was perfect and everything I had asked for. We originally had a trial a few months back and from that we where able to gain the look I wanted! I would definitely recommend Megan! I had my make up done at 11am and was still perfect 14 hours later! Thank you so much!” – Rachel, Gretna Green, Smiths Hotel. “Absolutely amazing, professional young lady. 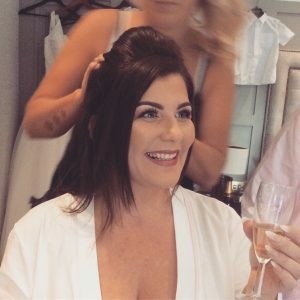 I looked and felt fantastic on my wedding day. She listened to what I wanted and advised on what would be best for me. Cannot praise her enough. Thank you so much! You are a very talented young lady. 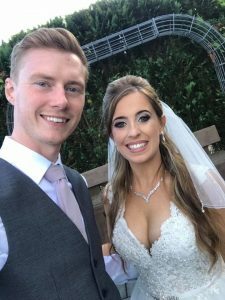 Thank you for making me a beautiful bride!” – Kelly, Gretna Green, Green Hall Hotel. “I’m a wedding and events photographer, and regularly work with make up artists around the uk. It was fantastic to work alongside Megan in Gretna last week. 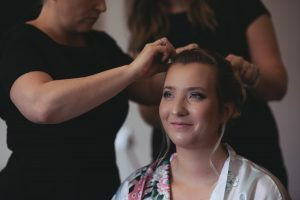 The bridal partys make-up looked amazing, and Megan was very professional, friendly and put everyone at ease. Would definitely recommend!” – Jon (Memories Made Photography), Gretna Hall Hotel. 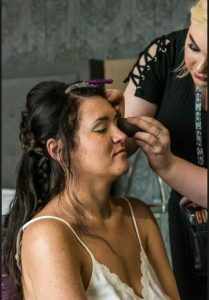 “I would just like to thank Megan for making a fabulous job of my bridal makeup! She did exactly what I wanted and was better than I imagined. Would definitely recommend this girl to other brides marrying at Gretna Green. When I was looking for an MUA I felt that many of them attached to the area where old fashioned and not with the current trend. I found a diamond with this one!” – Kerry, Gretna Green, Days Inn Hotel. These were just some of the lovely testimonials left by past Bridal clients. The majority of these testimonials were left by clients that married in the Gretna Green, Dumfries and Carlisle areas, but I do also cover the Lake District! If you are a 2018/19 Bride, please do get in contact now for a quote or to book! Are you getting Married in 2018?